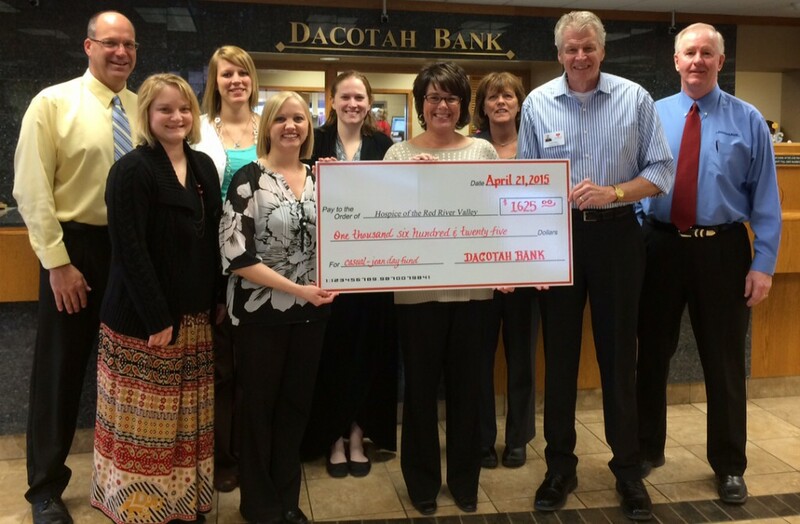 Dacotah Bank recently donated $1,625 to Hospice of the Red River Valley. The donation is a combined gift from employee casual/jean day funds and a match from the bank. The donation will be used to provide compassionate end-of-life care to those in Valley City and surrounding communities.